In late 1909, Clarence P. Stealey, of West Virginia moved to Oklahoma to start a Baptist paper. It became one of the most widely circulated newspapers in the entire Oklahoma territory. When the Oklahoma Southern Baptist Convention held its annual meeting in May of 1912, copies of the first edition of the Baptist Messenger were distributed. The inaugural edition on May 15, 1912, contained stories about the work of the Foreign and Home Mission Boards, Christian education, teaching about Christian doctrine and theology, and the Oklahoma Baptist Orphans’ Home. Within five years, the 16-page, weekly publication had a statewide circulation of approximately 5,000. By 1919, the convention’s board determined that the Baptist Messenger should become its official news journal and purchased the newspaper from Stealey for $5,000 under the condition that he would continue to serve as editor. Since Stealey’s era, nine others have served as editor of the newspaper. Today, the Baptist Messenger is mailed to nearly 45,000 households every week, making it the third-largest newspaper in terms of paid subscriptions in the state of Oklahoma. 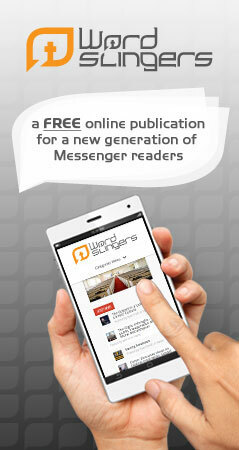 In November 2011, Messenger Digital was launched, a full online edition of The Baptist Messenger, along with the Messenger Mobile companion app. On May 15, 2012, The Messenger celebrated its 100th year.